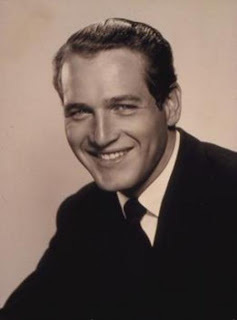 According to press releases from his his charitable organizations, Newman's Own Foundation and the Hole in the Wall Gang Camps, Paul Newman died Friday at age 83 at his long-time home in Westport, Connecticut, and with his passing, more has been lost than just a good and fine man. For a half-century, on screen and off, the actor Paul Newman embodied certain tendencies in the American male character: active and roguish and earnest and sly and determined and vulnerable and brave and humble and reliable and compassionate and fair. He was a man of his time, a part of his time, and that time ranged from World War II to the contemporary era of digitally animated feature films. In such movies as "The Long Hot Summer," "Cat on a Hot Tin Roof," "The Hustler," "Hud," "Butch Cassidy and the Sundance Kid," "The Sting," "Slap Shot," "The Verdict," and "The Color of Money" -- to name only the most famous of them -- Newman combined heartthrob looks, a dedicated and evolving Method Acting style, good taste in material and collaborators, and a real sense of the cultural climate. His career spanned eras, and he always seemed to be in step and in style.